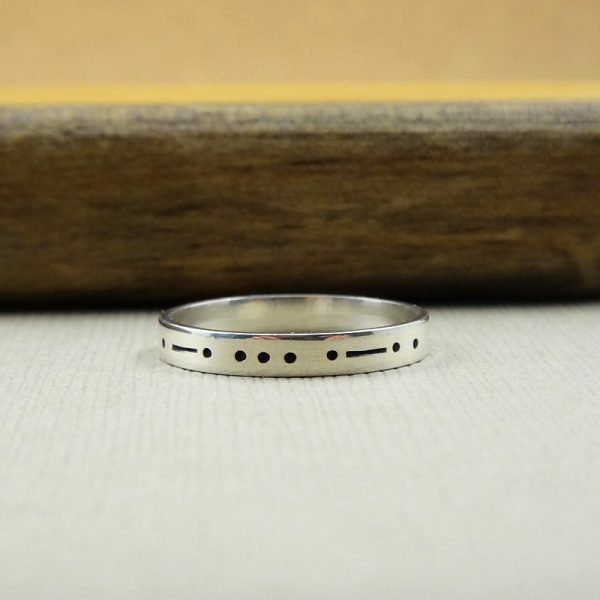 This Morse code ring is handmade using .925 sterling silver. 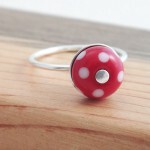 The dashes, dots and letters are individually hand stamped and have been darkened to make them “pop”. 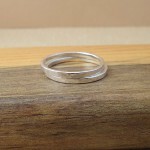 The outside as well as the inside of this Morse code initial ring has been polished to a brilliant shine. 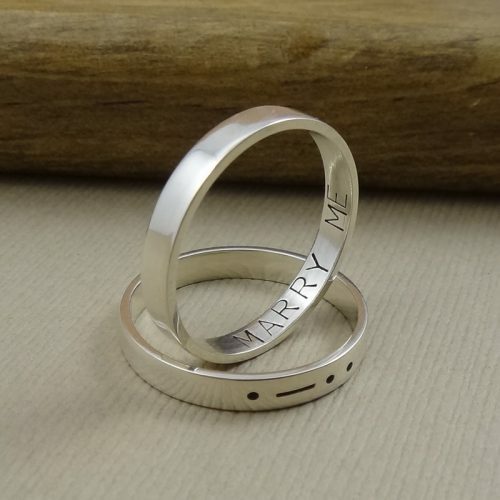 You can have up to 5 Morse Code letters stamped onto the outside of your ring! 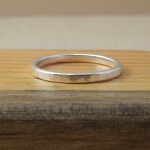 You also have the option of having the inside of the ring stamped with a secret message (up to 12 characters/letters). The band is approx. 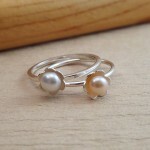 3mm wide. 1. 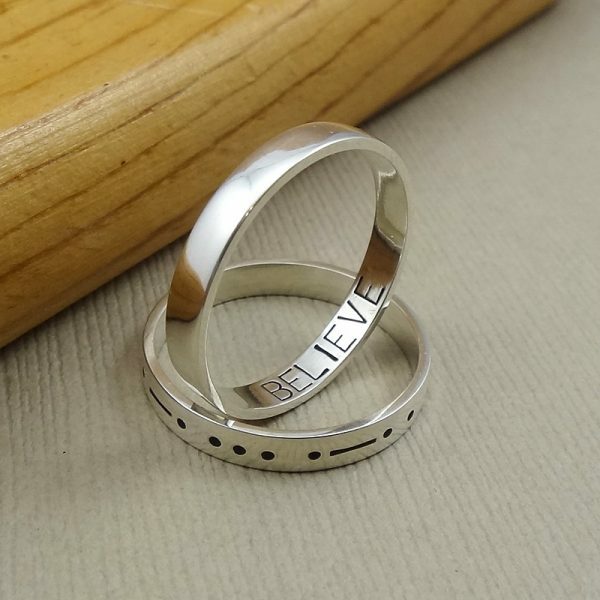 Don’t forget to let me know in the “notes to seller” box the letters or word (just the letters/word, not the Morse code) you would like me to stamp on the outside of your Morse code ring during checkout (up to 5 Morse Code letters). All orders are shipped in an Eco friendly recycled jewelry box and come with a polishing cloth to help keep your jewelry beautiful and sparkly. 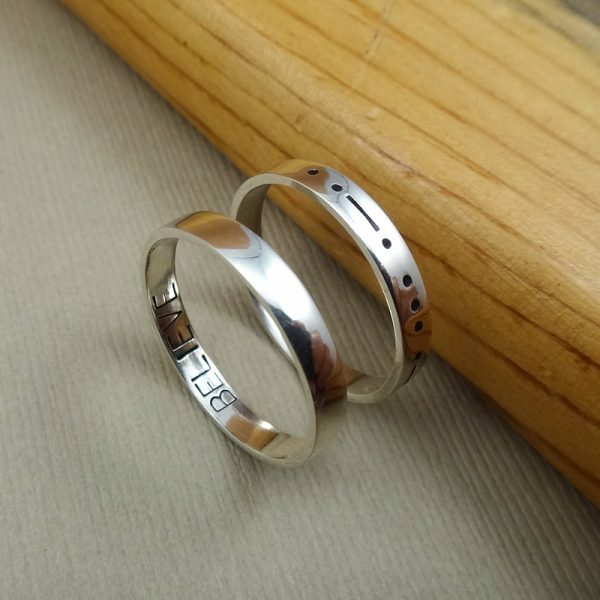 If you have any questions regarding this personalized Morse code initial ring, please ask.